It's that funny bit of the year that didn't have a name when I was growing up. I'm a little late to wish you all a Happy Christmas, and a little early for New Year. Still, I hope you're enjoying the festive season and haven't been too inconvenienced by the weather. And finally, did you catch my visit to Melinda Dozier's blog before Christmas? The Santa Next Door makes an appearance, and Melinda asks me some intriguing questions about writing and Christmas. By the way, don't forget the competition to win a pdf copy of The Santa Next Door is still running over at Melissa's blog, until Saturday 21st December. All you have to do is leave a comment on your favourite Christmas food - is it the mince pies that feature in The Santa Next Door, or turkey, or something else? So far, Italian Christmas food seems to be a hit! As Christmas approaches, Santa is getting busier, and so is The Santa Next Door! This week I was excited to discover not one but two of my books reviewed in Still Moments Magazine's website! For me, the standout feature of this anthology was its sheer range. Bravely, the editors picked four stories which have nothing in common except Christmas... well, and sweet romantic storylines! The settings range from historic England to contemporary Hawaii and the mainland US. 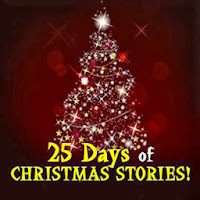 I think my favourite story was 'His Hawaiian Christmas', for its charm and originality. In any other context, snow at Christmas would be a cliche, but in Hawaii it's magical and eye-opening. When laid-back-to-the-point-of-horizontal surfer-dude Kai takes uptight hotel manager Clara up a mountain to discover Hawaii's one and only chilly spot, he shows her there's more to him - and to the island paradise - than she's previously realised.